The Networking Women of the Triangle is proud to announce their first career fair planned for Oct. 15 from 10 a.m. to 3 p.m. at Cypress Manor in Cary. There is no charge to attend, registration is requested. 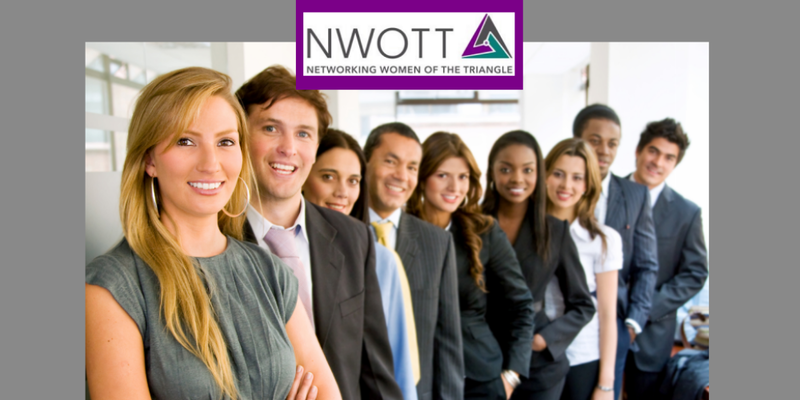 The Networking Women of the Triangle (NWOTT) is the fastest growing and largest women’s networking group in North Carolina. Last month, the organization’s closed Facebook group reached 20,000 members. On October 15, members will have a chance to meet face-to-face to learn more about career opportunities and get the support they need. More than 400 people have already registered to attend the Networking Women of the Triangle Career Fair that runs from 10 a.m. to 3 p.m. on Oct. 15 at Cypress Manor located at 1040 Buck Jones Road in Cary, N.C. Founder JoNita “JoJo” Cox referred to NWOTT as “the best kept secret in the Triangle.” She continued by saying “it’s time for us to connect our group of highly qualified, professional women with local employers”. After the career fair, the secret will be out that the NWOTT is the place to go for qualified leads and connections. Urban Ministries of Wake County is the NWOTT Career Fair feature nonprofit that will be accepting non-perishable food donations and encouraging volunteers to register to help end poverty in Wake County. Exhibitors include: UNC Healthcare, SAS, Dude Solutions, Duke Health, State Farm (Shawn Cokerham), Ave Staffing LLC, Netsertive, Primrose School of Apex, Keller Williams Elite Realty, Experis IT/Manpower, Comfort Keepers, Credit Suisse, and Jackson Hewitt. The Roe’d Show, a 24-foot mobile boutique featuring hardwood floors, mirrors, AC/heat, music, 2 dressing rooms and all the LuLaRoe you can dream of. Staff will assist jobseekers in finding a new look for interviews. Catherine Wright, Career Services Specialist and Professional Development Trainer with Silver Key Career Solutions, LLCwill be at the NWOTT Career Fair offering tips and advice on resumes. Return To Wellness LLC is available to help jobseekers on their path to success by reducing stress and with chair massages for just $1.00 a minute. Your Image Matters is offering specials on headshots for LinkedIn or other profiles. Simply Thrive Therapy will be there with mental health professionals offering resources and discussing coping mechanisms for being unemployed/underemployed and other topics. Onsite food trucks include Mr Puebla Tacos. Networking Women of the Triangle was born in early 2016 when Founder JoNita Cox was in the midst of a job search. She found career networking support for women in the area was lacking so with the support of Co-Founder Angie “Gigi” Stephenson, JoNita started a Facebook group on March 16th, 2016. NWOTT is the premier place to connect, support, and inspire other women in the Triangle. Learn more by visiting www.nwott.org or contact hello@nwott.org. The secret is out; come see what NWOTT is all about! Can’t wait to meet everyone in person! What an exciting event! I’m looking forward to it!